Your local business listing information is essential to stop confusion and give yourself a chance of ranking in the maps on Google, Yahoo & Bing. Incorrect business information such as Name, Address, Phone, Website or categories can confusion for both consumers and Google. Get ont eh right track to fixing these issues today. How does your business information stack up across the web? We have found time and time again that local business information is not consistent across the web. Inconsistencies come from many sources, it’s our job to identify where and why that happens. If your placement on the search engines has dropped, is having difficulty getting to the top or you’re no where to be found. This is one of the first places to start. 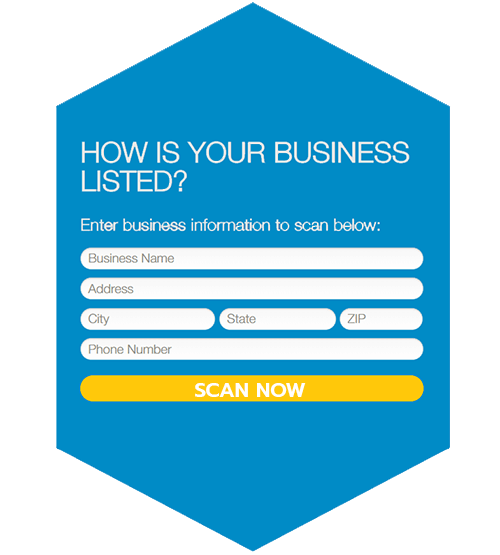 Get yourself listed correctly online for the search engines and your customers. NAP (Name, Address, Phone) information is an item that Google and other search engines use to identify who you are. Having consistency gives you greater exposure to search engines and potential customers. Correct listing information can have a positive impact on Local Search Engine Optimization. Find out how you rank today!